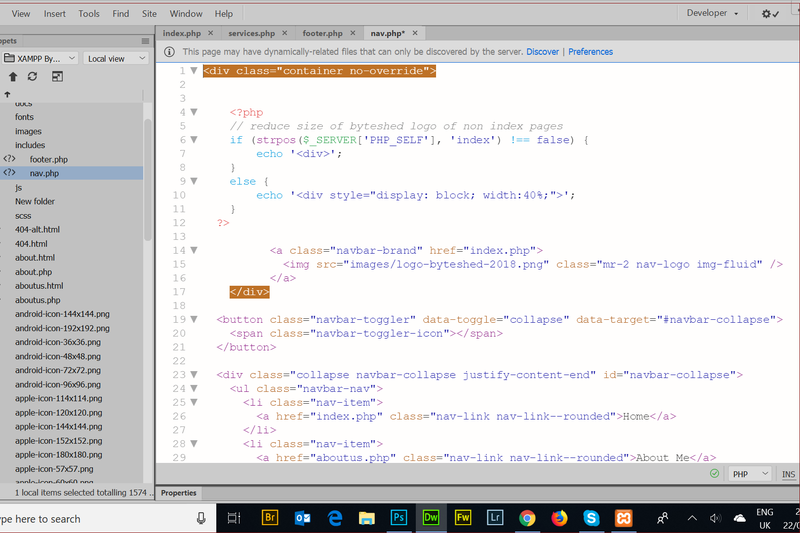 Why a static HTML website? Firstly, you will need to set aside some time for me to understand your business and discuss your requirements. I know that you're busy running your business but this step needs to be carried out to ensure a successful outcome. 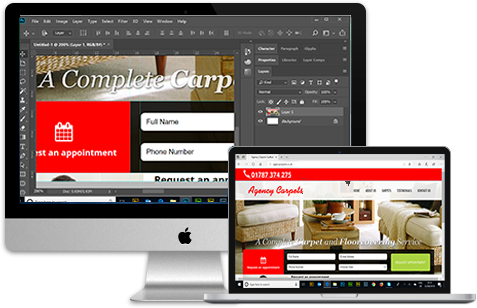 ... the building of your responsive website to display correctly on mobile and desktop devices. CMS or not? That is the question. Many business owners do not have time to learn a Content Management System (CMS) or use it to update their websites. If you have, then great, that may be a better option for you. The decision is yours, CMS if you have the time, Core code if you do not. These are the main core technologies that your web browser understands. I programme in the 'core' with no excess baggage, so no frequent updates required. Lean core code leads to faster download times, which is ideal for users viewing your site on their mobile devices. A good developer will design for mobiles and tablet devices before desktop computer. This ensures that your website will download quickly when your users are away from home and do not have access to fast download capability. Many websites hang on mobile devices because images and code have not been optimised for mobile use. I apply Research, Analysis, Development and Testing stages to every project; then keep iterating through these four processes until the final result emerges to your satisfaction - the completed project. When that's done there's the small matter of visibility. If your prospective clients cannot find you then what's the point of having a website? I'll help you to set up your Google business profile along with Google Analytics and a presence on Microsoft's Bing too. Together, we'll work out a Social Media strategy so that people know you're there. Crisp focused images are vital to the appearance of your website. Using the Nikon digital SLR system I can ensure that the content is sharp and the message clear. I can produce images of your latest restaurant specials, images of your workplace, or, perhaps, your latest product offers. Why use stock images when you can use your own? If you would like quality images of products for your online shop I can bring my portable studio to your premises so you can get on with your business while I produce the images you need. If you do need something more advanced than a static online presence then you've come to the right place. I use modern Object Oiented Programming techniques to develop bespoke website code that will make your website really interactive. Do you need an interactive online holiday calendar with admin panel for your holiday home? Or maybe an online lottery system for your company employees? Or even a booking system for your company's conference and leisure facilities? These are just some of the many systems I have running for clients based around the U.K. today. For large or small projects, I am able to design, develop, implement and test databases to industry standard 3rd normal form. A well-formed database schema will allow your database to be interrogated rapidly and efficiently, producing answers to database queries in milliseconds. Feel free to contact me if you have a troublesome website. I can give advice on what to do and if need be rebuild and transfer. You wouldn't be the first person to ask me to recreate a website. I have several customers who have been disillusioned, hacked and let down by previous providers. Don't get despondent, just give me a call for some free, no obligation, sound advice on how to move forward. I love to hear your stories and like to chat. 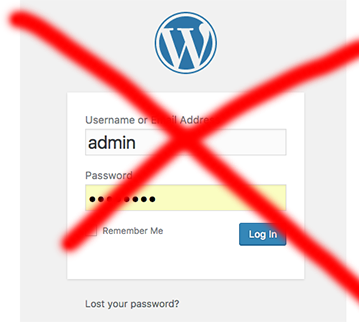 Your current broken or hacked website may be salvageable, I will always give you the least-cost option. 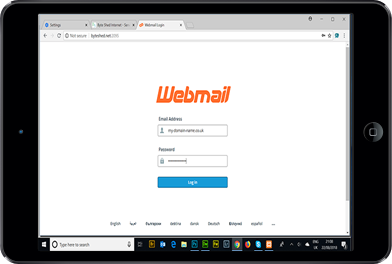 Choose to read your email online using our webmail or through an email package such as Microsoft Outlook, the choice is yours. You can have any of your email addresses automatically forwarded to another email address. Open one email account to read everything. Your contact page will have an interactive Google Map that can be used to give customers directions and distance information for your business.